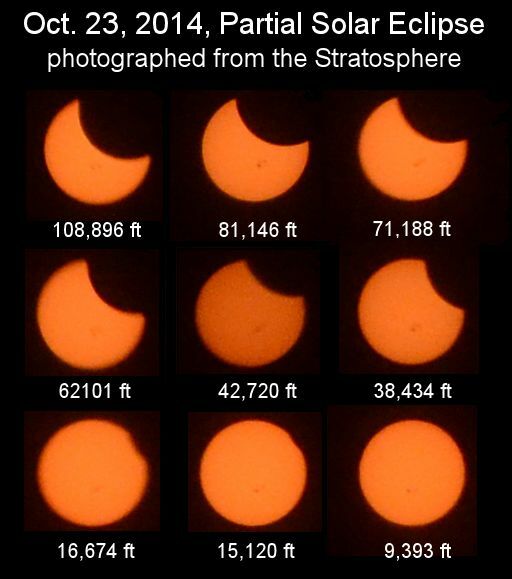 To put this achievement into context, consider the following: Most people who photographed the eclipse carefully mounted their cameras on a rock-solid tripod, or used the precision clock-drive of a telescope to track the sun. The students, however, managed the same trick from an un-stabilized platform, spinning, buffeted by wind, and racing upward to the heavens at 15 mph. Their photos show that DLSR astrophotography from an suborbital helium balloon is possible, and they will surely refine their techniques for even better photos in the future. Another notable picture shows the payload ascending over clouds, which blocked the eclipse at ground level but did not prevent photography from the balloon. 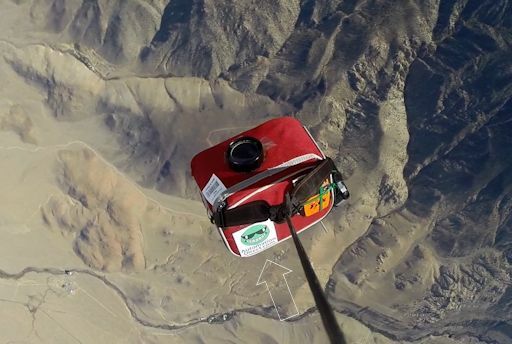 Readers, would you like to sponsor a student research flight and have your logo photographed at the edge of space? Contact Dr. Tony Phillips to get involved.